A rapid-detection Ebola test developed by international scientists including a University of Stirling virologist has been deployed following a highly effective pilot project. 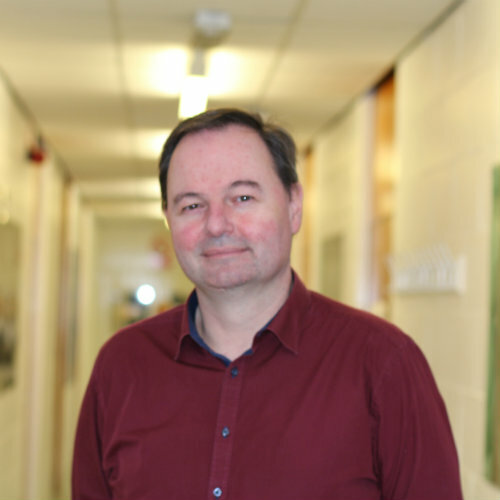 Dr Manfred Weidmann, from the University’s School of Natural Sciences, was part of a Wellcome Trust project led by the Pasteur Institute of Dakar. Together, they developed a sophisticated point-of-care saliva test, all contained within a suitcase-sized mobile laboratory. Three mobile labs are now deployed in Senegal and Guinea and a test evaluation of 928 samples showed it performs exceptionally well under field conditions. “There are more than 25 laboratories in West Africa and everyone is using different tests,” said Dr Weidmann. “Ours, which uses a method called recombinase polymerase amplification, was compared to two other tests and results show it can be reliably used without the need for a confirmatory test, and it appears to outperform a widely used WHO recommended test. Dr Weidmann has also developed a range of assays to detect other mosquito borne viruses, such as Dengue virus and Rift Valley Fever virus. He added: “Mosquito-borne viruses can affect high numbers of people much faster than Ebola and outbreaks of Dengue virus and Rift Valley Fever virus have recently erupted in West-Africa. The research results are published in the European Centre for Disease Prevention and Control (ECDC) journal Eurosurveillance. The research was supported by the German Primate Centre; the Robert Koch Institute in Germany and Biocompanies Qiagen Lake Constance and TwistDx and the mobile laboratory was deployed in collaboration with the Laboratory for Hemorrhagic fever of Guinea at Donka hospital and the National Public Health Institute of Guinea. Dr Weidmann is also midway through a two-year Innovative Medicines Initiative (IMI) project bringing together scientists from across Europe and Africa to further develop bedside rapid diagnostics.